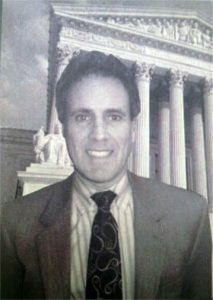 Attorney Marc Kranson has been actively engaged in the practice of law for over 30 years in the Lehigh Valley area. He concentrates his practice in bankruptcy and debtor/creditor rights cases. He has an extensive practice specifically representing individuals or businesses in Chapter 7 and Chapter 13 bankruptcy cases. Attorney Kranson also defends individuals rights in credit card cases and mortgage foreclosures. He had formerly served as an instructor in Bankruptcy at Lehigh Carbon Community College, or LCCC. He’s a member of the Bar Association of Lehigh County and is admitted to practice before the U.S. Supreme Court, Pennsylvania Supreme Court, Eastern District of Pennsylvania and 3rd Circuit Court of Appeals. Attorney Marc Kranson provides clients with no charge for their initial consultation. All the fees and costs will be discussed up front at your initial conference with Marc Kranson. Fee arrangements are written in easy to understand language and in accordance with the professional rules of ethical policy. Let Marc Kranson’s 30 years of extensive legal experience work for you! Don’t hesitate. Call today. If you have any questions for Attorney Marc Kranson feel free to reach out over the phone or by email to schedule a consultation. Let Attorney Marc Kranson represent you!